you are just now seeing them. I am kind of glad to be looking back at this picture. It reminds me just how nice and warm it's been lately. I better finish wearing all my cute summer skirts before it starts raining again! I know that feeling. We are back to cold again. God i'm sick of this weather. 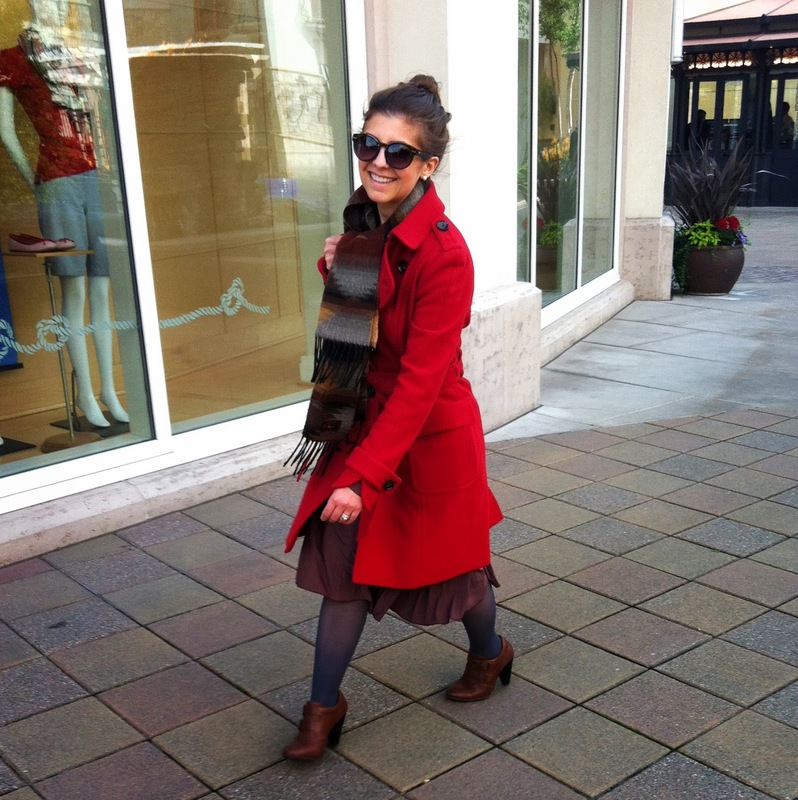 Love your red coat and your shoes are fabulous. Stop by and link up for my weekly tres-Chic fashion thursday link up. HOpe to see you. That is one gorgeous coat, girl! I love long coats and skirts put together, its a really classy look.